Kiryat Gat, ISRAEL, October 23rd, 2013 – Leading personal protection equipment (PPE) manufacturer Beryl Davis is proud to announce the launch of the world’s first line of Coolcore™ attire made specifically for the PPE, HLS and Defense markets. The new line, branded as BDCOOL, incorporates award-winning Coolcore™ fabrics and technologies into the trusted Beryl Davis PPE apparel. Coolcore’s patented, chemical-free material delivers three distinct functions – wicking, moisture circulation and regulated evaporation – leaving the wearer naturally cool and dry – even under strenuous conditions; the results speak for themselves – the more you sweat, the cooler you get; and, because it is chemical-free, the cooling benefit never washes out in this new and hi-tech line of cooling clothing. BDCOOL offers the perfect solution for heat-heavy work environments, providing a cooling effect at minimal fabric weight and maximum comfort. The fabrics have been tested by Hohenstein, a leading European textile testing facility, and through extensively documented field tests by professional sports groups over the past 4 years, and will meet other PPE standards, such as High Visibility. Beryl Davis holds exclusive rights for Coolcore™ attire made for the PPE, HLS (Homeland Security) and Defense markets. This new venture, combining cooling fabrics and PPE knowledge, would not have been possible without the cooperation between the two companies. 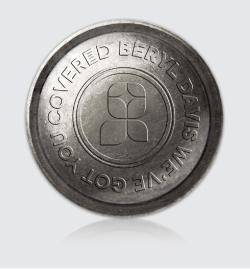 Now, a whole new market potential has opened up for both Beryl Davis and Coolcore™. Coolcore™ is the world leader in proprietary cooling materials with patented, chemical-free materials that reduce surface temperature of the fabric up to 30 degrees. Coolcore is currently the only company in the "cooling” or "temperature regulation” space to earn the prestigious "Innovative Technology” award from the Hohenstein Institute for the textile sector. Founded in 1981, Beryl Davis has been a leading player in the international PPE industry for the past three decades. It has since established three global head offices, in England, China, and its HQ and R&D center in Israel.. Excellence and safety are top priorities: cutting edge designs, top-of-the-line Research and Development teams, and utilization of the most technologically advanced materials available have enabled Beryl Davis to create products which are "a cut above the rest”.